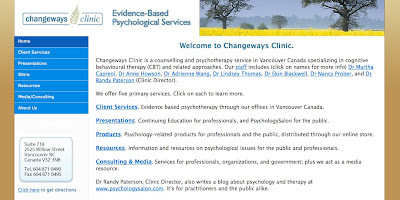 PsychologySalon: Private Practice: Do You Need a Website? Private Practice: Do You Need a Website? 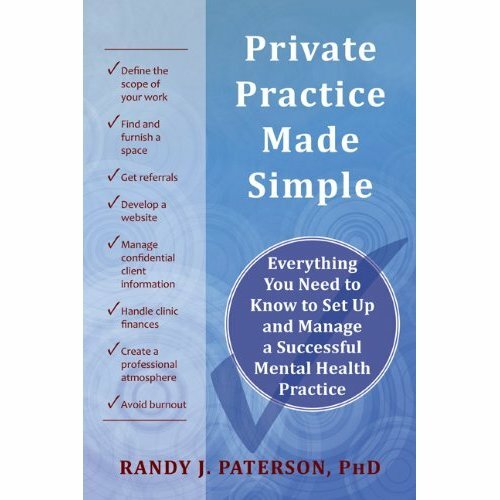 The Friday Private Practice series continues, based on my book Private Practice Made Simple and the accompanying workshop. The last post considered how to write a referral form. But of course referral forms are really only useful for the referrals you get from other professionals. 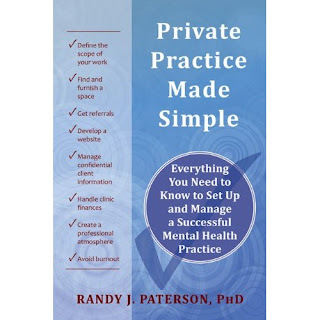 In private practice, many people self-refer. At Changeways Clinic we estimate that about 70% of our clients self-refer. That begs the question: How do self-referrers find out about your service? In our case, many hear about us from friends and family members who have seen us in the past. Getting psychotherapy doesn't seem to be quite the dark secret it once was - more and more people are seeing it as a perfectly reasonable thing to do. So people often tell others about their experiences, and recommend their therapist to others. This proportion of referrals tends to climb as you get more established and, obviously, as the number of former clients rises. How else do people find someone? You can answer that question yourself. How do you find a plumber, a hardware store, a nearby sushi bar, a brake specialist? Chances are, you look on the internet. You used to look in the Yellow Pages, but as I discussed several posts back, virtually no one does this anymore. At our clinic, about 50% of all referrals come via our website. So do you need one? Yes. A 21st century business without a website is like a 20th century one without a telephone. Whereas in the 1990s a clinic with a website was a novelty, and signalled a certain nerd-like quality in the owner, today it simply signals that you take your work seriously. A practice without a website today seems more like a hobby, a sideline, a temporary lemonade stand. Some will find your service by doing a web search - more than ever found their therapist using the Yellow Pages. A website gives more information than any directory ad ever did, so people rely on it more. What about the people referred by their friends or healthcare providers? They'll check you out on the internet before they call - and perhaps they'll look for your number on the net as well. When people recommend therapists, they usually give a few names. Those looking for help will typically google the names. Anyone who doesn't turn up will be ignored: maybe you've retired, or moved, or switched careers, or died. Website design is not an area of great expertise for me, but in the next few posts I'll provide some basics. And: Are you in Halifax in mid-June 2012? On June 14 I'll be doing a two-hour presentation as part of the annual convention of the Canadian Psychological Association on cultivating a web presence for psychologists. On June 13 I'll also be offering a full-day preconvention workshop on therapeutic process. For more information, visit the convention website here.